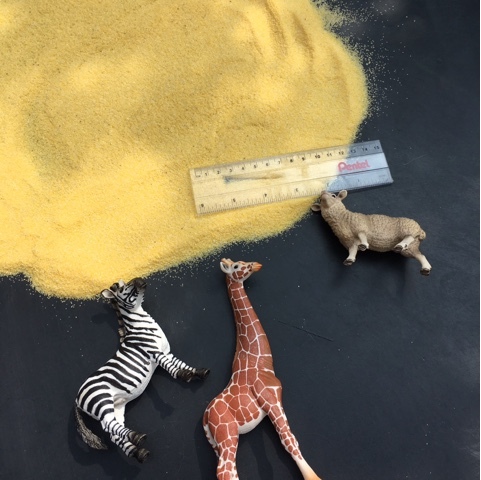 One of the activities we've been doing using our Schleich figures was this 'Who's footprint?' activity, introducing the use of a ruler for measuring for the first time, my 4 1/2 really enjoyed this early maths activity. 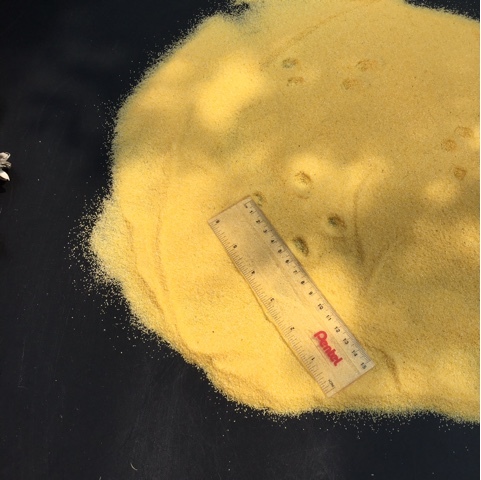 Simple to set up, all we used were the tuff spot to contain the mess, a ruler, some sand or as we use out of date polenta and some animal figures. 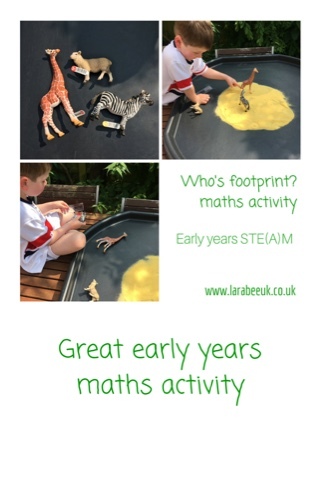 When T wasn't looking, I made prints in the 'sand' and using the ruler showed him how to measure the distance between the prints, when he'd worked out the number of centimetres we went on to measuring the figures to see which animal left the prints! 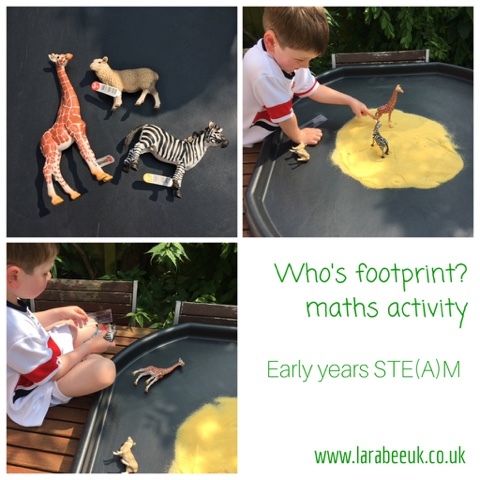 T used the ruler to measure the distance between the feet of each animal, working out which one matched the footprints. 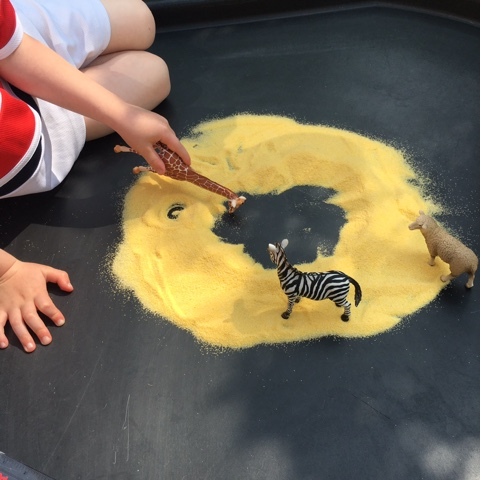 He really enjoyed this early detective game and has asked to do it a couple of times since, there's so much room for expiring this further, by using more animals, by making paint prints and by taking this out into the park or woods and track some real animals. 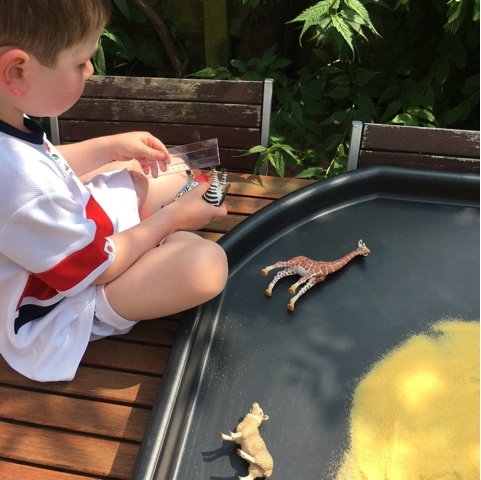 After T had worked out which footprints belonged to who, he decided to make a watering hole and played for quite a while talking about the animals he had. Our post containing more details about the 'Educational Play the Schleich Way' campaign can be found here.